HCMC People’s Committee has submitted to the Prime Minister a policy adjusting the total investment capital and construction time of second metro line in the city Ben Thanh-Tham Luong. Specifically, the city asked for the PM’s permission to increase investment capital from $1.37 billion to $2.17 billion because of basic design changes and extend implementation by six years to complete the work by 2024. 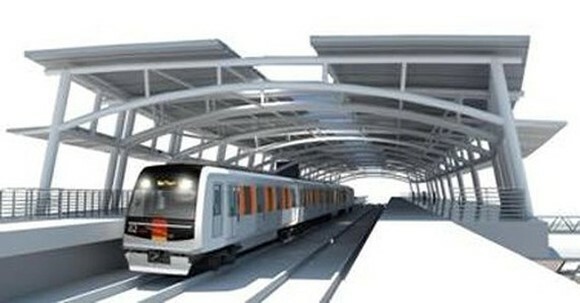 The project was approved in 2010, running through districts 1, 3, 10, 12, Tan Phu and Tan Binh with the total length of 11.2 kilometers, nine underground stations, one above ground station and one depot. Capital sources for the project are official development assistance (ODA) loans getting from Asian Development Bank, German KfW bank and European Investment Bank and reciprocal funds from city budget.